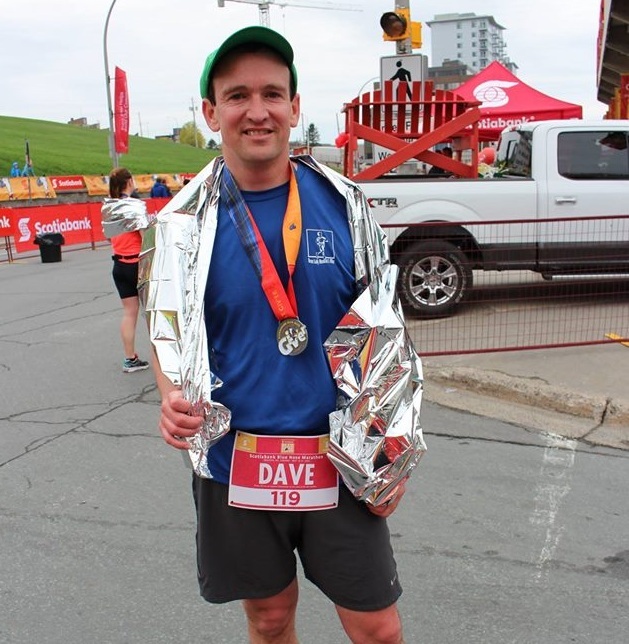 Dave Horgan, shown after competing the Bluenose Marathon In May, will compete in Marathon by the Sea for the 10th time this summer. This is the second in a series of stories leading up to the 2015 Marathon by the Sea. Motivation for sport can take many forms but for Dave Horgan, the inspiration of a great Canadian hero played an early role in his first footsteps into longer distance running. Later in life, he returned to the sport, saluting the influence of his late mother and once again adopting a healthy lifestyle that continues to this day. In August, Dave will return to Marathon by the Sea for the 10th time this year. His Running Whys story follows. I’m fairly certain that I’ve always loved running. Like many kids I participated in annual track and field events for school, but it was in September of 1980 at the age of 12 that I was introduced to longer distances.